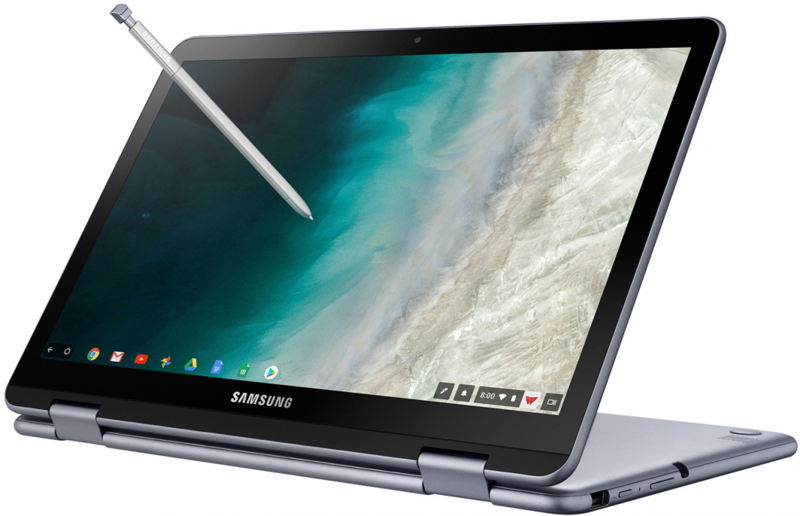 It has been almost a year and a half since Samsung announced the Samsung Chromebook Pro and Chromebook Plus. The Chromebook Pro gets most of the attention since it has more impressive specs, but the Chromebook Plus is still a great device. In fact, it was the second Chromebook to get Linux apps. 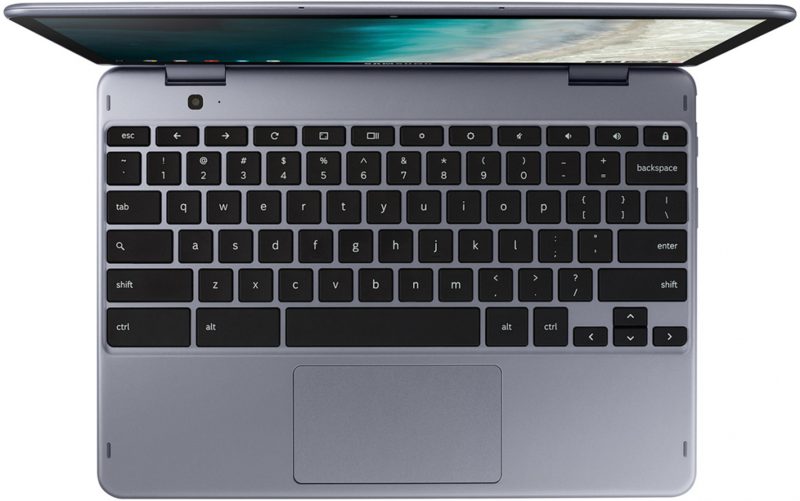 Samsung has finally announced the Samsung Chromebook Plus V2 as the successor. This time, they have opted to go with an Intel Celeron processor. Version 2 of the Chromebook Plus has a surprising amount of differences from the original model. The first and most obvious difference is the processor. Samsung has switched from an unspecified ARM processor to an Intel Celeron chip. Theoretically, performance should be better, but it still only has 4GB of RAM and 32GB of storage. We were hoping Samsung would release a version with more RAM. The display is another big difference. Samsung has bumped it down from a 12.3-inch display with 2400 x 1600 resolution to 12.2-inches with 1920 x 1080 resolution. They also switched from a 3:2 aspect ratio to a more traditional 16:10. The good news about the lower resolution is it should improve performance and battery life. It’s still disappointing as the display on the original Chromebook Plus was phenomenal. You can still flip the display around 360-degrees and use it as a full touchscreen tablet. Samsung has also included a stylus with a built-in storage slot again. The stylus and display support over 4,000 levels of sensitivity. Changing the aspect ratio has had a positive effect on the keyboard layout. 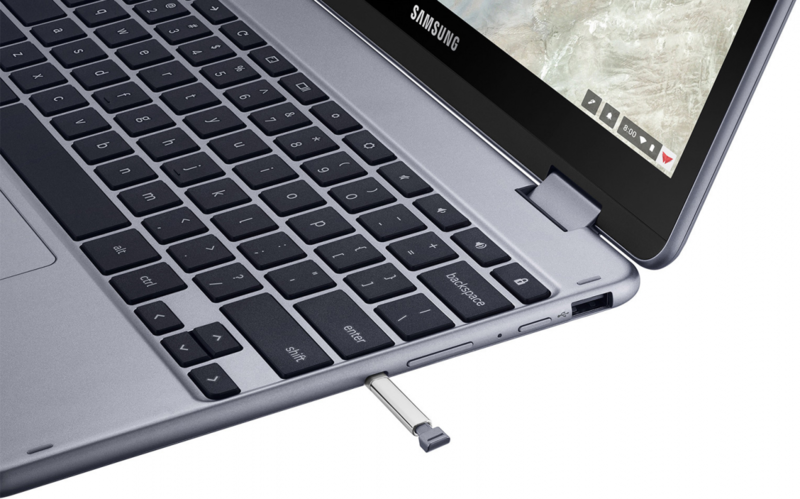 The tall and narrow design of the 3:2 Chromebook Plus caused a few of the keys to be cramped. The backspace key, in particular, was annoyingly half the size. Thankfully, the keyboard on version 2 looks to be much more spacious, though it’s still not backlit. 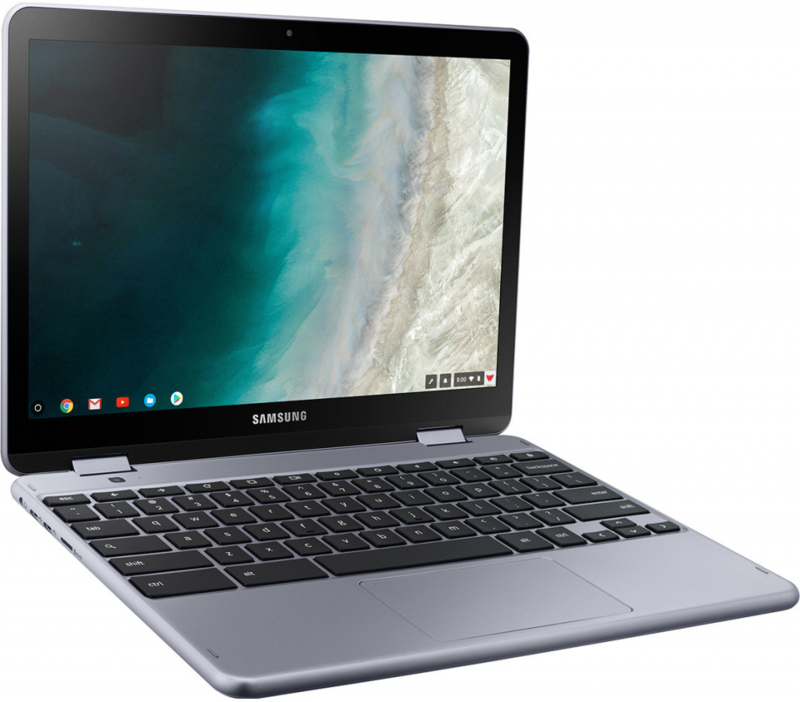 The Samsung Chromebook Plus V2 will go on sale June 24th at Best Buy. 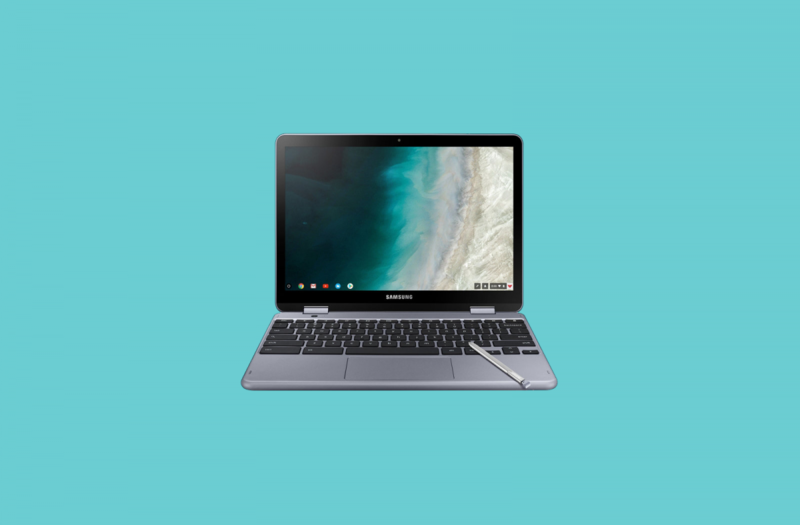 You’ll be able to pick one up for $499, which is $50 more than the original Chromebook Plus.